Margaret Sanger, the founder of Planned Parenthood, was an outspoken opponent of large families. In her 1922 book Woman and the New Race Sanger writes, "The most merciful thing that the large family does to one of its infant member is to kill it." 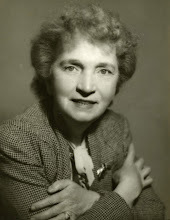 Saynsumthn's Blog, The Daily Caller and Life News have reported on the discovery of a 1947 British Pathe "One Minute News" newsreel interview of Sanger (then known as Margaret Slee) in which she opposes childbirth in developing countries. The YouTube description says, "Although this clip is cut short, Mrs. Slee's proposition was actually that there were no more babies in developing countries for the next ten years." Newsreels were once popular in movie theaters before the emergence of television newscasts. Other quotes from Sanger are available at WikiQuote.